The luxury country house combines in its architecture the tradition of Galicia with modern, light-flooded design and every comfort for an unforgettable holiday. The dream home is located in the idyllic village Crendes (Abegondo) 500 meters from the lake Cecebre, 15 miles from La Coruna and 8 km from the nearest beach - away (Gandarío Sada). In 5 minutes by car to the nearest town Betanzos with its beautiful old town center (cafes, bars, supermarkets and numerous shops etc.). With its 260 square meters of living space, 3 bedrooms (sleeps 6), two bathrooms, a separate toilet, spacious kitchen, impressive open plan living room with large windows, 1 balcony, 2 terraces, 1 hectare of garden space and garage (2 cars) no wishes unfulfilled. The newly built outdoor pool with spacious terrace completes the holiday experience perfectly. They have comfortable spacious garden furniture that invites to a relaxing day by the pool. There are two bedrooms on the ground floor: both with double bed and pool view and a spacious shower room. A third bedroom "the suite" is on the upper floor and has a walk-in closet, as well as a toilet-bath and an extra bathroom with bath and shower. 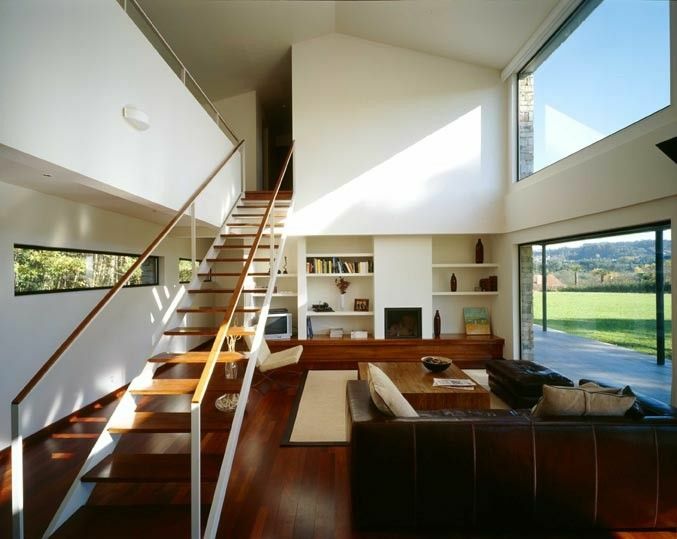 The large living room is the heart of the house. It invites you to relax, read or sit together. For the winter there is also a fireplace. Just let us know if you want to use it. On the upper floor there is a studio, ideal if you want to work in the free time but something. From there you have access to a separate small secluded terrace. The kitchen is fully equipped. You will find everything you need for cooking. There is also a portafilter coffee machine for espresso and a kettle. From the kitchen you can access the small patio through the sliding glass door - the ideal place for a hearty breakfast. In 2016 we built an outdoor pool directly at the house. He is 9 m long and 4.5 m wide. The pool has lighting, which makes it very pleasant to sit on the terrace in the evenings and relax. Around the pool there is a spacious terrace with outdoor furniture - two garden sofas / garden chairs, which were made especially for the terrace. The house is in an ideal location to explore Galicia and be fascinated. You can make various day trips, whether to the coast or inland to the vineyards or historic cities of Galicia. If you want, we will gladly give you individual tips for your holiday. We spend a lot of time there ourselves and know the region like the back of our hand. Please note that there is no internet connection in the house. This is intentional because sometimes we just want to be offline and relax so much more. Please also note that barbecuing in the garden is not allowed. It is a protected area. Because of the risk of forest fires, we ask for your understanding. - Garage for 2 cars - Housekeeper 1 times per week (negotiable) - Fully Equipped Kitchen Important NOTE: The house is located in a protected zone, in the grilling with open fires is prohibited for protection against forest fires. We ask for your understanding. We stayed at Oscar and Marija's lovely house for close to 4 weeks in July. We were lucky enough to have amazing weather in which to enjoy the beautiful countryside. The house was very comfortable and well appointed. The grounds were picturesque and the addition of the pool will be amazing once finished. Marija responded quickly to any queries and always happy to help. We hope to stay here again in the future. Our only regret is we wished we had more time there. The home is welcoming and inviting. We enjoyed the kitchen, the open space, kicked the soccer ball around a nice yard. Great country setting. We would recommend this property. The property managers we very nice and helpful. Salvo porque el agua de la ducha salía un poquito floja para mi gusto (ni siquiera es una pega), creo que va a ser casi imposible encontrar una casa mejor que esta, me parece impecable, perfecta, cada rincón de la casa me ha maravillado, está muy bien pensada y hay de todo. Gracias por compartir esta casa tan bonita, ha sido una experiencia muy bonita. The house was everything it was advertised to be...beautiful, stylish and calm. The welcome was very warm and friendly and we got by with our broken Spanish. As I enjoy cookiing it was great to have a fully equipped kitchen with all the pots and pans, plates, cutlery etc that you could need. This made cooking and eating there a pleasure. The hosts were extremely hepful with friendly advice on the area, restaurants etc. As a HomeAway owner myself the service was exactly as I would want, and would hope to provide myself. Thanks for a great stay. We stayed at this beautiful home for 6 days/5 nights. We were originally booked for a shorter stay, but loved it so much we added another evening. What a pleasure it was to come back to a spacious house after venturing out touring Galicia. The house was so convenient to most of the sights that we even came back for a nap before going out again for dinner and more sights. The sunshine that comes through in the morning and moonlight that shines through in the night made for a great feeling and mood setter. I loved the open feeling of the house and wish I had more time in the house to enjoy it further. It was always a toss up between going out and staying in. This house was in a great location and in a remote enough place for you to feel secluded and have a sense of privacy. It was an easy drive to A Coruna, Santiago, Pontevedra, Lugo, Finisterre, Cederia and many more locales. We spent a weekend staying at the property with friends. The photos are a very accurate reflection of the property. A magnificent architectural house in a quiet and peaceful setting. The closest town is Bezantos (about 10 mins drive away). It is a well-equipped town with some fantastic tapas bars on the alleyways leading away from the Town square. The hosts could not have been more helpful in giving us accurate directions and making the necessary arrangements for the handover of the keys. Wonderful! Beach, sandy beach, bays, Atlantic City, La Coruna, A Coruna, lakes, hiking, St. James, Camino de Santiago, bike trails, historic city, Betanzos, shopping centers, village, Santiago de Compostela, idyll, idyllic rural, rural tourism, Rias, excursions, walks, Galicia, northern Spain, pilgrimage, nature trails.